Leonor Andrade was born on 13 September 1994 in Quinta do Anjo. Her first contact with music was at the age of four, when she started to play the piano. The piano is Leonor's instrument of choice to compose her songs. For 10 years she has studied in music schools. She has always sung, but her first serious musical experience was when she was invited by her brother the become lead singer in his rock band "Mariacaffe". 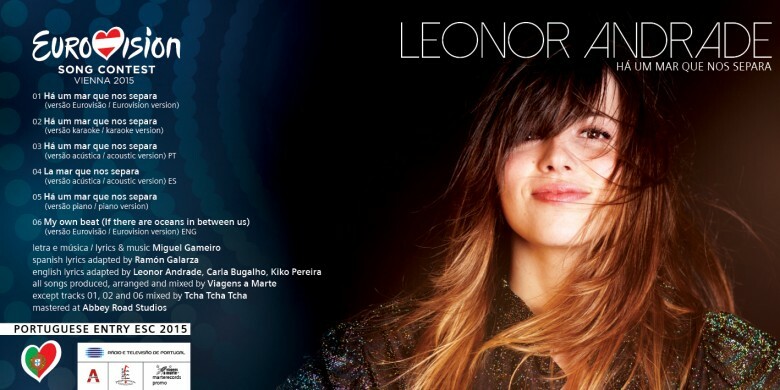 Leonor got to the fame taking part in the 2nd edition of the show "The Voice Portugal" that took place in March-June 2014 and was broadcasted on RTP. She took part in blind castings with "Feeling Good" of Nina Simone and when all mentors have turned their chairs to see young singer, she has chosen to enter team of Anselmo Ralph. Also during the show she has performed songs of James Brown, Etta James, Adele and others, and sang a duet with Rui Drummond. Being twice saved by her mentor in the live shows, she finally was eliminated in semifinal round of competition. After The Voice, she kept on working in music, composing her songs and giving some concerts. Andrade has also been invited to star in the 2nd season TV series "Água de Mar" that started airing on RTP in September. Andrade played part of Joana Luz in the series. Andrade later said: "The TV series experience was great, it help me growing as a person. But now I really want to focus on starting a music career, because I love music, I love singing, writing songs and I want to devote my life to music"
Leonor Andrade will perform song "Há um mar que nos separa" (There's a sea that separates us) of Miguel Gameiro. Miguel Gameiro is a famous singer and leader of a pop group "Pólo Norte". His first participation in preselection as a composer was in 2010. To Vienna will travel four backing singers: Pedro Mimoso (backing vocalist for Filipa Azevedo in 2010), Ricardo Quintas, Tânia Tavares and Carla Ribeiro (participant of the national selection 2014 and one of backing vocalists of Portuguese entry in 2012), who will be replacing Paula Cardoso, unavailable due to other commitments. The backing singers, however, are not expected to be visible on the stage. ""Há um mar que nos separa" is a love theme that speaks of the distance between two people, whether it is physical or psychological. The invitation to take part in "Festival da Canção" came from composer Miguel Gameiro. I really like him as a musician and composer and is a huge honor to be singing a song of him. I was really surprised with the song when I first heard it, I was very happy, the song is just excellent!" Leonor Andrade has released tracks making her official promotional CD for the song "Há um Mar que nos Separa". Besides Portuguese Eurovision version of the song, it also includes English version, acoustic Portuguese and Spanish version, piano version (played by Leonor herself, that was presented last week in "Got Talent") and karaoke version of the track. All these versions were mastered in the Abbey Road studios in London. Listen and download them here. Leonor Andrade was guest of "Portugal Got Talent" program, where she has presented piano version of "Há um mar que nos separa" being joined by composer Miguel Gameiro. Watch this performance here. 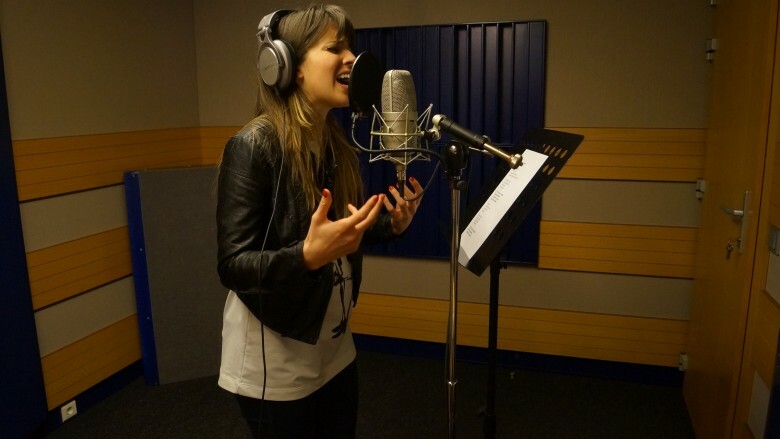 Leonor Andrade has returned to the studio to record more versions of her entry "Há um Mar que nos Separa". There will be also English and Spanish versions, and two acoustic ones, including the one that will feature Leonor playing piano and the other one with cello. "I love playing the piano and had already played this song several times. It is a way of feeling the most intense form of music. It's just me and the instrument and there is an even greater commitment", singer explains. As for foreign language versions, Leonor speaks of the difficulty sometimes to feel each word as she does in Portuguese: "Today we have been recording first the English version and then the Spanish. And despite me striving to feel the music and lyrics, it is much more difficult. It does not mean that I do not feel it at all, but it is much more complicated." 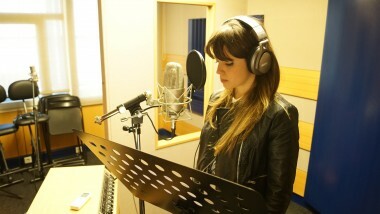 The recordings took place in "Viagens a Marte" studio and will be produced by Fernando Martins and Ramón Galarza. It would be the first time since "Senhora do Mar" in 2008 that Portuguese representative will record other version of the song. However, in Vienna Portuguese version will be performed. There will also be a change in the backing line-up. To Vienna will travel four backing singers: Pedro Mimoso (backing vocalist for Filipa Azevedo in 2010), Ricardo Quintas, Tânia Tavares and Carla Ribeiro (participant of the national selection 2014 and one of backing vocalists of Portuguese entry in 2012), who will be replacing Paula Cardoso, unavailable due to other commitments. The backing singers, however, are not expected to be visible on the stage. Speaking earlier to "Festivais da Canção" it was revealed that in the team that will accompany Leonor Andrade to Eurovision 2015 will be stylist Cátia Castel-Branco and make-up & hair specialist António Carreteiro. Leonor says that she and her team have been working hard on preparations, as she believes the competition in the Eurovision and semifinal they are in is tremendous. She says she has liked most of the entries in the competition and has mentioned Malta and Spain among her personal favourites. You can watch this interview (in Portuguese) here. 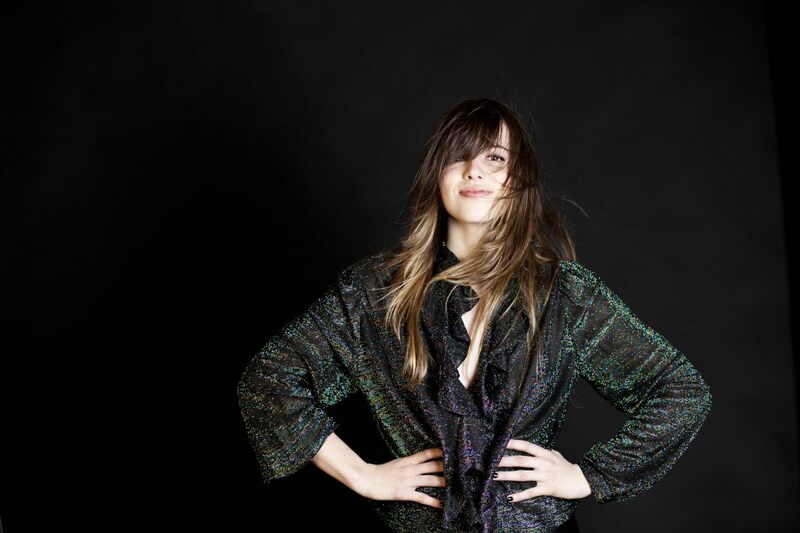 Leonor says that it was after her "The Voice Portugal" participation that she understood the true extent of how much she wanted to live music, even if she was taking a law course. "Although after the program we have tried to give concerts, record my songs... Then there was nothing happening. Until I received a call to come to the Festival da Canção and I thought "It's true that the one who works and who is so eager to develop, sometimes gets something good, there is someone who gives us a helping hand". I have lost count on the amount of times people have told me to continue on my law course, since they say you can't live with the music... But I'd rather take a modest super life and be doing what I want than to be super rich and doing something I hate". Leonor is not afraid of the criticism. "Every person from the world of art has to deal with other people's opinion, that is what I am also learning to deal with. People who like me and who like my work or make constructive suggestions give me strength and it's these people who matter". She admits though she was very scared prior to the performance of the song in the first semifinal of the national preselection: "because it was the first time I performed the song and it was a different song than I usually do - a pop rock - and nobody was expecting that! I was very nervous, but when I got to the stage the energy was so good, people were clapping to support... And I felt that the public helped a lot at that time and even now continues to support me and this gives me confidence. Portugal will once again use "Festival da Canção" to select their 2015 Eurovision Song Contest participant. On 17 January 2015 it was announced that RTP has invited 12 national composers - some of them have participated in previous years - to draw up the songs for the competition. Composers may invite lyricists of their own choice, who also must have Portuguese citizenship. All entries of the national preselection have to be performed in Portuguese. Official regulations of the national final have been published on 30 January. 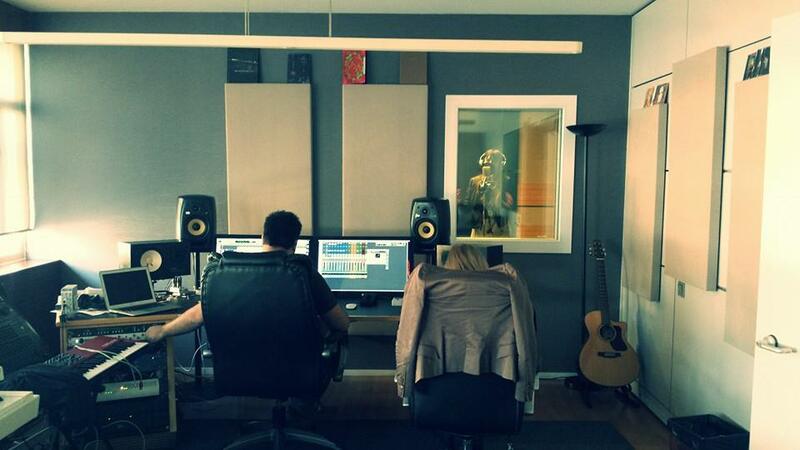 It set deadline for submission of the entries from composers being 5 February 2015. Composers are also allowed to send more than one proposed entry, however, only one song per composer will be selected to compete in the show. Ramón Galarza and Fernando Martins are invited producers to give the final touch to competing entries. The stage presentation of each song in both artistic and technical aspects remains also in responsibility of RTP, which may invite backing vocalists, musicians or other performers to accompany the lead singers. RTP will also provide a live band to accompany performances of all entries. RTP will also hold exclusive copyrights for all competing entries to the date of the national final, and to the winning entry for one year after the date of the national final. There will be monetary prize to the songwriters of the winning entry of competition: both composer and lyricist will receive 750 €, performer will be sponsored for travel, accommodation and daily costs of his trip to Vienna. List of national preselection participants was revealed on 19 February. Read more about participating artists here. In total, there will be 3 shows taking place in RTP studio in Lisbon: two semifinals of 6 songs each on 3 and 5 March, from which half of entries will proceed to the national final on 7 March. Presenters: 1st semi: Joana Teles and Jorge Gabriel, 2nd semi: José Carlos Malato and Sílvia Alberto, final: Júlio Isidro and Catarina Furtado. Each of the evenings will also have a special theme: 1st one devoted to history of the Festival, 2nd to commemorate 60th anniversary of Eurovision, and final - to pay tribute to Zé da Ponte. In both semifinals 2 of the qualifying entries will be chosen by televoting. Public voting will open from the beginning of the show and will close 15 minutes after presentation of the last song. 3rd qualifying entry will be chosen by the jury made of the 6 composers competing in this very semifinal or the persons nominated by them. In the final, again three superfinalists will be determined using the same procedure: two chosen by public and one by composers taking part in the final. The superfinal entries will be performed again with voting lines opening immediately upon announcement of top 3 acts, and closing 10 minutes after the last song. The televoting solely will select the winner of competition out of three top songs. Леонор Андраде родилась 13 сентября 1994 года в Кинта-ду-Анжу, Палмела. Она играла на фортепиано с четырех лет. Фортепиано также стало основным инструментом, который Леонор использует для написания собственных песен. Около 10 лет она занималась в различных музыкальных школах. Она всегда пела, но первым серьезным музыкальным опытом для нее стало приглашение от ее брата стать солисткой в его рок-группе "Mariacaffe". Известность к Леонор пришла с участием во втором сезоне шоу "Голос Португалии", которое выходило в марте-июне 2014 года на телеканале RTP. Она выступила в слепых прослушиваниях с песней "Feeling Good" Нины Симоне, и после того, как все четыре наставника повернулись, чтобы увидеть юную исполнительницу, она отдала предпочтение команде Ансельмо Ральфа. Также во время шоу она исполняла композиции Джеймса Брауна, Этты Джеймс, Адель и др. исполнителей, а также спела дуэт с Руи Драммондом. Дважды наставник спасал ее от вылета, однако, все-таки Леонор покинула шоу на стадии полуфинала. После участия в голосе Андраде продолжала работать над музыкой, сочиняя собственные песни и давая концерты. Она также получила предложение сняться во втором сезоне телесериала "Água de Mar", который начал выходить на RTP в сентябре. Андраде исполнила в нем роль Жоаны. Позднее она говорила: "Опыт съемкок в сериале был потрясающим, это помогло мне вырасти как творческой личности. Но теперь я все-таки хочу сфокусироваться на начале музыкальной карьеры, потому что я люблю музыку, петь, писать песни, и мне бы хотелось посвятить всю свою жизнь музыке"
На конкурсе Леонор Андраде исполнит композицию "Há um mar que nos separa" (Есть море, что разделяет нас) Мигеля Гамейро. Гамейро сам является известным исполнителем, солистом группы "Pólo Norte". Впервые в качестве автора он принимал участие на национальном отборе в 2010 году. В Вену отправятся четыре хориста: Педро Мимозо (бэк-вокалист Филипы Азеведо в 2010 году), Рикардо Куинташ, Таня Тавареш и Карла Рибейро (участница национального отбора 2014 и одна из бэк-вокалисток в 2012 году), которая заменит Паулу Кардозо, занятую в эти дни на других проектах. Однако, ожидается, что бэк-вокалисты будут располагаться вне видимости камер. ""Há um mar que nos separa" - это песня, рассказывающая о расстоянии между людьми, каким бы они ни было, физическим или психологическим. Приглашение принять участие в "Festival da Canção" мне сделал композитор Мигель Гамейро. Я очень люблю его творчество в качестве музыканта и композитора, потому для меня очень большая честь исполнять его песню. Я была поражена, когда впервые услышала ее, я была счастлива, песня просто превосходна!" Представительница Португалии на Евровидении 2015 Леонор Андраде побывала на шоу "Portugal Got Talent", где представила фортепианную версию своей конкурсной песни "Há um Mar que nos Separa". В исполнении к ней присоединился автор песни Мигель Гамейро. Увидеть это выступление вы можете здесь. Леонор Андраде вернулась в студию для того, чтобы записать новые версии своей конкурсной песни "Há um Mar que nos Separa". Выйдут также английская и испанская версии композиции, и две акустические версии, одна с виолончелью, и одна где сама Леонор играет на фортепиано. "Я очень люблю играть на фортепиано, и уже много раз играла на нем свою песню. Так лучше прочувствуешь музыку. Когда есть только ты и инструмент, то выкладываешься еще сильнее", объясняет певица. Что же касается других языковых версий, то Леонор отмечает для себя сложность прочувствовать в них каждое слово песни, как она может сделать на португальском: "Сначала сегодня мы записали английскую, а затем испанскую версию композиции. Несмотря на то, что я пытаюсь всячески прочувствовать музыку и текст - это намного сложнее. Это не значит, что я вообще их не чувствую, но это более трудно." Запись прошла в студии "Viagens a Marte", а продюсируют ее Фернандо Мартиньш и Рамон Галарза. Впервые после "Senhora do Mar" в 2008 году у португальской песни появятся дополнительные версии. Однако, в Вене песня будет исполнена на португальском языке. Изменения произошли и в составе бэк-вокалистов. В Вену отправятся четыре хориста: Педро Мимозо (бэк-вокалист Филипы Азеведо в 2010 году), Рикардо Куинташ, Таня Тавареш и Карла Рибейро (участница национального отбора 2014 и одна из бэк-вокалисток в 2012 году), которая заменит Паулу Кардозо, занятую в эти дни на других проектах. Однако, ожидается, что бэк-вокалисты будут располагаться вне видимости камер. Ранее, в интервью "Festivais da Canção" было рассказано о том, что с Леонор Андраде на Евровидение 2015 отправятся также стилист Катя Кастел-Бранко и специалист по макияжу и прическа Антонио Карретейро. Леонор говорит, что она и ее команда усиленно работают над подготовкой, поскольку она считает, что конкуренция на Евровидении и в полуфинале, где они принимают участие, просто невероятна. Ей понравилась большая часть из песен, принимающих участие в конкурсе, и особенно отметила она композиции из Мальты и Испании. Это интервью (на португальском языке) вы можете увидеть здесь. Леонор говорит, что после своего участия в "Голосе Португалии" она поняла, насколько хочет жить музыкой, даже несмотря на то, что в то время занималась на юридических курсах. "Хотя после программы мы продолжили давать концерты, записывать мои песни... Потом долгое время ничего не происходило. Пока я не получила предложение принять участие в Festival da Canção и я подумала "Ведь правда, что тот, кто работает, кто стремится к развитию, часто получает что-то хорошее, всегда найдется тот, кто протянет руку помощи". Я уже потеряла счет, сколько раз люди говорили мне, что я должна продолжать заниматься юриспруденцией, а музыкой заработать нельзя.... Но я лучше буду жить очень скромно и заниматься тем, что мне по душе, чем буду супер богатой и делать то, что я терпеть не могу.". Леонор не боится критики. "Каждый человек из мира искусства имеет дело с мнениями других людей, и я учусь воспринимать их правильно. Люди, которым нравлюсь я, нравится моя работа, которые делают конструктивные предложения, придают мне силы, и именно эти люди имеют значение". Леонор признает, что была очень испугана, перед тем, как выйти на сцену в первом полуфинале национального отбора: "Я впервые исполняла свою песню, и она сильно отличается от того, что я обычно пела - это поп-рок - и никто не ожидал его от меня! Я очень нервничала, но когда я вышла на сцену, то получила позитивную энергию от зрителей, люди начали хлопать в знак поддержки... Я почувствовала, что публика мне очень помогла в тот момент, и продолжает поддерживать меня в настоящее время, и это придает мне уверенности. Португалия вновь использует формат национального фестиваля "Festival da Canção" для отбора своего представителя на Евровидение 2015. 17го января 2015 года было объявлено о том, что телеканал RTP пригласил 12 местных композиторов, ряд из которых уже принимал участие в фестивале в прошлые годы, для подготовки песен для участия в шоу в этом году. Композиторы могут по своему выбору пригласить для участия в шоу авторов текстов, которые также должны быть гражданами Португалии. В рамках национального отбора все песни должны исполняться только на Португальском языке. Официальный регламент отбора был опубликован 30 января. Им был установлен крайний срок для приема заявок от композиторов - 5 февраля 2015 года. Композиторы также могут заявить несколько потенциальных песен на рассмотрение телеканала, однако, в телешоу будет выбрана только одна песня от каждого автора. Продюсеры Рамон Галарза и Фернандо Мартиньш снова приглашены для того, чтобы подготовить участвующие песни непосредственно для финала отбора. Сценическая презентация песни, как в художественном, так и техническом аспектах, полностью относится к компетенции телеканала RTP, который может приглашать бэк-вокалистов, музыкантов или других участников номера для сопровождения солистов. Также RTP предоставит оркестр или музыкальную группу, для живого исполнения участвующих композиций. RTP сохранит за собой все эксклюзивные права на участвующие песни вплоть до даты национального отбора, а на песню-победительницу еще и в течение года после отбора. Авторам (композитору и автору текста) песни-победительницы будут выплачены денежные призы в размере 750 евро, а победившему исполнителю компенсированы расходы по поездке, проживанию и суточным расходам в Вене. Список участников национального отбора был опубликован 19 февраля. Подробнее с участвующими артистами можно познакомиться здесь (на английском языке). Сам отбор будет состоять из трех телешоу, которые пройдут в студии телеканала RTP в Лиссабоне: двух полуфиналов 3го и 5го марта из 6 песен каждый, из которых половина выйдет в национальный финал 7го марта. Ведущие шоу: 1й полуфинал: Жоана Телес и Жорже Габриел, 2й полуфинал: Жозе Карлос Малато и Сильвиа Алберто, финал: Жулио Изидро и Катарина Фуртадо. У каждого из вечеров будет своя тема: 1й будет посвящен истории Фестиваля, 2й: 60-летию Евровидения, а третий - музыканту Зе да Понте. В каждом из полуфиналов 2 песни-финалиста будут выбраны по результатам голосования телезрителей. Голосование откроется с начала шоу и завершится спустя 15 минут после исполнения последней песни. 3я песня-финалист будет выбрана голосованием жюри, в которое войдут композиторы песен, принимающих участие в данном полуфинале, или назначенные ими лица. В финале из 6 песен по аналогичной процедуре будут определены 3 суперфиналиста: два выбранных зрителями, и один - жюри из участвующих в финале композиторов. Песни суперфинала будут исполнены повторно, линии для голосования откроются сразу после объявления тройки, и закроются спустя 10 минут после исполнения последней песни. Победитель конкурса будет определен исключительно результатом телеголосования.